Upholstery is found covering couches, love seats and chairs. Overtime, the upholstery will become dirty, dingy, stained and require a good cleaning. The best upholstery cleaning products are the ones that are inexpensive and accomplish the job without filling your environment with harsh chemicals. Before beginning the cleaning process, use the upholstery attachment on your vacuum to remove the surface dirt and hair from the upholstery. 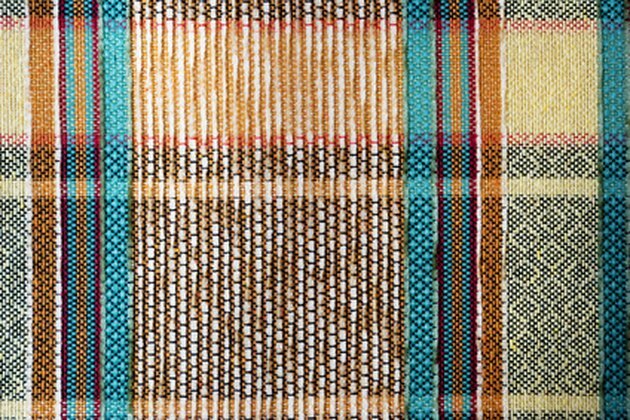 Upholstery comes in a variety of fabrics, colors and designs. White vinegar is a versatile all-natural liquid that can clean and deodorize while killing mold and mildew. Even though vinegar has a strong pungent odor, it dissipates quickly and will remove tough odors, such as cigarette smoke and pet urine. Vinegar can be used alone to remove upholstery odors, or you can add 1 cup of vinegar to any upholstery cleaning recipe to add a deodorizer and fungus killer boost to the solution. Liquid dish soap is primarily used to wash plates, bowls, pots, pans and utensils. However, it can also be converted into a carpet and upholstery cleaner. Since liquid dish soap does not contain toxic chemicals, it will not pollute your home with fumes or harsh residue. To use liquid dish soap as an upholstery cleaner, combine 1/4 cup of the soap with 1 cup of warm water. Use a whisk or hand mixer to mix the items together until you achieve a sudsy solution. Dip a scrub brush into the sudsy mixture, and scrub the upholstery. To rinse the upholstery, dampen a cloth with cool water and blot the upholstery. Borax is another all-natural cleaning agent that has a variety of uses. Borax is a white powdered made from hydrated sodium borate and is found in the laundry detergent aisle. Borax will not only clean your upholstery but will also kill mold and mildew. Mix together 1/2 cup of borax with 4 to 5 cups of water. Ensure you mix the contents thoroughly so that all the borax is dissolved. Use a scrub brush to scrub the borax into the upholstery. Scrub in a circular motion until you have cleaned the upholstery. Dampen a cloth with water, and rinse the upholstery by blotting with the cloth. Like vinegar, baking soda is an all-natural cleaner and deodorizer that will not harm people or pets. Baking soda can be used regularly to freshen your upholstery. Liberally sprinkle the baking soda onto the upholstery, and allow to sit for a few hours. Secure the upholstery attachment to your vacuum, and use the attachment to remove the baking soda.